Keeping with the statement necklace trend, (see my previous #DealOfTheDay post), I wanted to share a score from my most recent trip to the Fossil outlet. 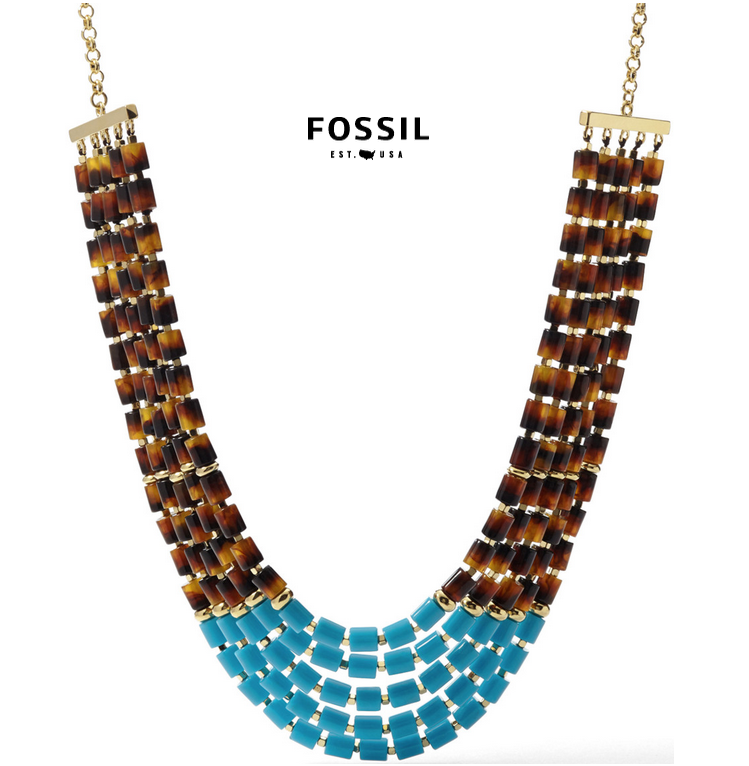 I’d actually been eyeing this “Enamel Dip Statement Necklace” at my local (non-outlet) Fossil store, but patiently waited due to the $118.00 Cdn pricetag. Turns out, patience is a virtue, and I ended up purchasing this tortoise-and-turquoise beauty shortly after it arrived to the outlet for just $18.00 Cdn (a savings of $100.00)! Has waiting patiently allowed you to nab a major deal on anything recently? Let me know in the comments below! 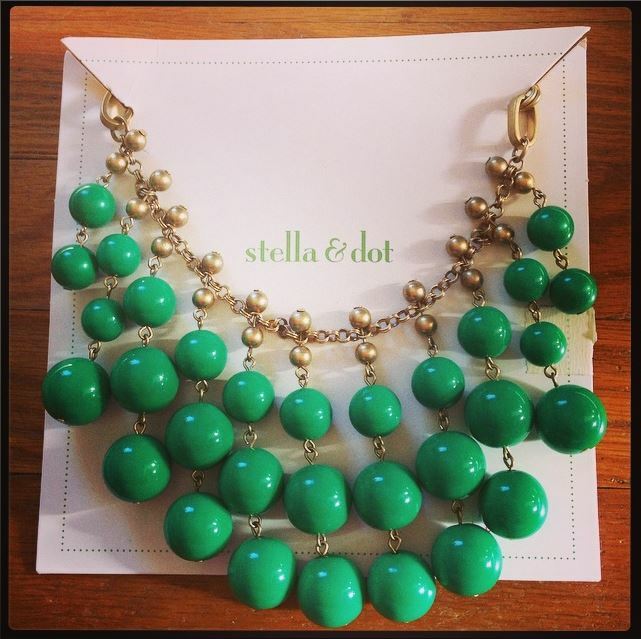 I’m already a huge fan of Stella & Dot‘s jewelry: their pieces are gorgeous and extremely well-made. Some of my favorite items include the “Rebel Pendant” in gold (I Instagrammed this here), the “Zoe Lariat Necklace“, and the “Renegade Cluster Bracelet” in gold. I’m also a huge fan of consignment and thrift shopping (potential future post on my favourite spots!). So, you can imagine my excitement when two of my favourite things came together in a beautiful twist of fate. This Stella & Dot Jolie Necklace was released in 2013 and originally retailed for $79.00. I purchased it at a local second-hand store for only $15.00 (it even came in it’s original box)! I’m in love with the mix of gold and emerald, and can’t wait to pair this with royal blue or hot pink (Spring is on the way, afterall!). Do you like to shop at local consignment or thrift stores? 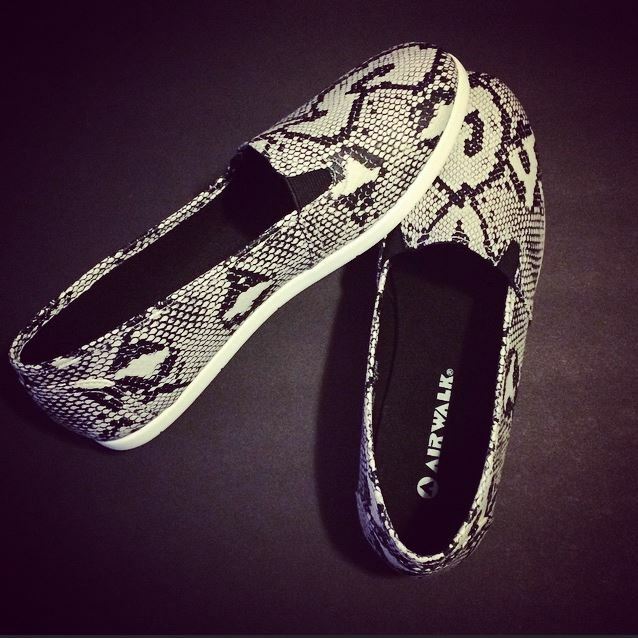 Do you have a rave-worthy find? Let me know in the comments below! I’m always on the lookout for clothing and accessories adorned with fun, positive sayings. When I saw this watch, I fell in love, and when I saw the price, I knew it needed to be mine. The simple beige band and gold face make it wearable for everyday, and the fun play on words: “Every Minute Counts” makes it unique (and gives it a special positive touch). 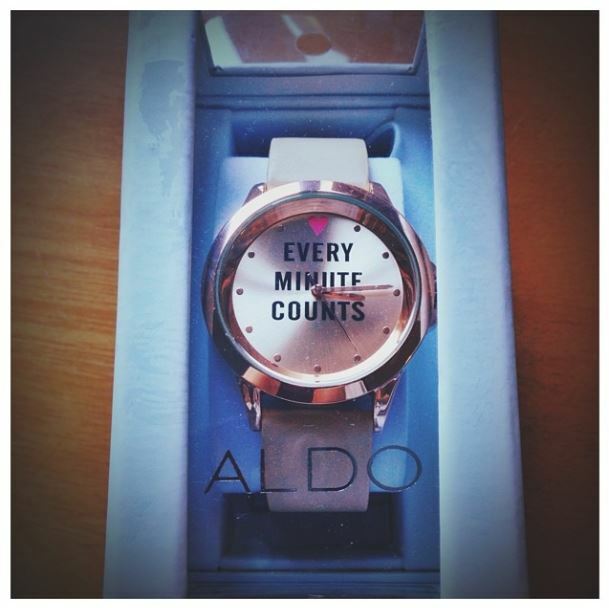 I purchased this watch from Aldo Accessories (a store I’ve been loving lately). Their promotion at the time was an additional 30% off of sale items, making this beauty only $17.49! You can check out some of their watches online here, or visit them in-store for even greater selection.